Hello everybody. Everything okay with you? Today our review is about the book Starters that Lissa Price write. The book is a novel with a mixture of mystery and adventure and give us great moments. The book starts telling how Callie and her brother Tyler had any parents and because they had died. Everything happens when a Spore War comes and kills all adults of a certain age and only left the older and the younger. Callie has a friend Michael who helps take care of her brother, because this was a serious disease and they didn't have to pay a doctor what worsens the situation of Tyler. Callie seeing that there is no other way of getting his brother better and that they do not live more in an abandoned building decides to sell her body to Prime Destinations is the best decision, as had visited the company and the money that they will give after serving the three-rents would be enough to help her brother and even buy a House for them to live. When she arrives in the company they will give her a day of beauty and she is wonderful, but begins to wonder when they don't let her back in the place where were Michael and Tyler. Because of that she sleeps in the Prime Destinations and in the other day they warn that she will have the first rental of your body for only a day. It occurs well she just dreams while your body is rented and thus passes a day and she goes back to sleep in that room that you have arranged that has neither a window, but that's pretty much. The other day there's a new loan only that more time and when ends this she talks to the man who made her contract (Tinnenbaum) that need to go visit her brother and with that he and Doris, the girl who helps her every moment in the company, they are very afraid because she could not have family or relatives to register.But even so they continue with the procedure. They leave her to visit her brother, but for a few hours what does get very upset and say that when she return she would sleep because next day there would be another loan to be made in her body. After the visit she back to Prime and they let she know that her loan has been postponed for that day and she does. But this loan ends up being different from earlier as well as being for a month she returns her consciousness and Helena who was the woman who had rented her body begins to talk to her. Finding it very strange to think back to Prime but after hearing a voice telling you not to go back there is where she meets Blake, grandson of President and by whom she ends up falling in love. With the course of the story Callie begins to understand the defect in Prime and that never again will have her body, she begins to help Helena who want to end up with the company, even if she doesn't agree with her since the beginning. And every day that passes more and more she loves Blake that it wasn't who she imagined to be. "The book is excellent very interactive and makes us passionate story. The author Lissa Price nailed it as working with it that she wanted to bring to us readers. I can also say that the characters Michael and Blake left me very excited, because they seem to be very cute. Recommend it to everyone! " T.P.
" Thanks Lissa Price for this wonderful book: D" T.P. Olá pessoal tudo bem com vocês? 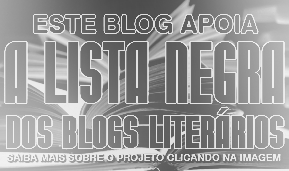 Hoje a nossa resenha é sobre o livro Starters da autora Lissa Price. 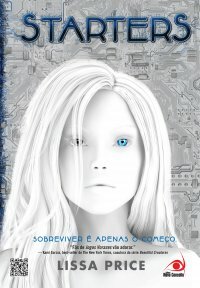 O livro é um romance com uma mistura de mistério e aventura e nos trás ótimos momentos. O livro começa contando como Callie e seu irmão Tyler não tinham pais e porque eles haviam morrido. Tudo acontece quando uma Guerra de Esporos vem e mata todos os adultos de uma certa idade e somente restam os mais velhos e os mais novos. Callie tem um amigo Michael que ajuda a cuidar de seu irmão, pois este estava com uma séria doença e eles não tinham como pagar um médico o que piora a situação de Tyler. Callie vendo que não há outro jeito de conseguir que seu irmão melhore e que eles não vivam mais em um prédio abandonado decide que vender seu corpo a Prime Destinations é a melhor decisão, pois havia visitado a empresa e o dinheiro que lhe dariam após cumprir o acordo de três aluguéis seria o suficiente para ajudar seu irmão e até comprar uma casa para eles viverem. Quando chega a empresa eles lhe dão um dia de beleza e ela fica maravilhosa, mas começa a estranhar quando não deixam ela voltar no lugar onde estavam Michael e Tyler para que possa voltar lá no dia seguinte, então ela dorme no lugar e no outro dia já avisam que ela irá ter o primeiro aluguel de seu corpo por apenas um dia. Tudo ocorre bem ela apenas sonha enquanto seu corpo está alugado e assim passa um dia inteiro e ela volta a dormir naquele quarto que lhe arranjaram que não tem nem uma janela, mas que é muito bonito. No outro dia há um novo empréstimo só que de mais tempo e quando termina este ela fala ao homem que fez o seu contrato (Tinnenbaum) que precisa ir visitar seu irmão e com isso ele e Doris, a moça que a ajuda a todo momento na empresa, ficam com muito receio pois ela não poderia ter família e nem parentes para se inscrever, mas mesmo assim eles continuam com o procedimento. Eles deixam ela visitar seu irmão, mas por poucas horas o que a faz ficar muito chateada e falam também que ao voltar iria dormir porque no dia seguinte haveria outro empréstimo para ser feito em seu corpo. Após a visita ela volta a Prime e eles avisam-na que seu empréstimo foi adiado para aquele dia e ela o faz. Mas este empréstimo acaba sendo diferente dos anteriores além de ser por um mês ela retorna a sua consciência e Helena quem era a mulher que havia alugado seu corpo começa a falar com ela. Achando muito estranho até pensa em voltar a Prime mas após ouvir uma voz lhe dizendo para não voltar lá obedece aí que ela conhece Blake neto do presidente e por quem ela acaba se apaixonando. Com o decorrer da estória Callie começa a entender o defeito que há na Prime e que nunca mais terá seu corpo, com isso começa a ajudar Helena que pretende acabar com a empresa, mesmo que não concorde com ela desde o ínício. E a cada dia que se passa ela ama cada vez mais Blake que não era quem ela imaginava que fosse. “O livro é excelente muito interativo e nos deixa apaixonados pela estória. A autora Lissa Price acertou em cheio como trabalhar com o assunto que ela quis trazer para nós leitores. Também posso dizer que os personagens Michael e Blake me deixaram muito animada, pois eles parecem ser muito fofos. Recomendo a todos!! !” T.P. Eu acho a capa desse livro tão linda e a história me parece muito boa. Gostei muito da resenha. Muito bem detalhada! Vou lê-lo em breve! Gostei muito de Starters. Li num dia só pois não conseguia largar. A capa é maravilhosa. Na torcida pela Callie e pelo Blake. O final foi surpreendente. Espero ansiosa a continuação.